Our courses are created by U.S board certified and licensed physician. All our certificates are signed by authorized U.S board certified and licensed medical doctors. 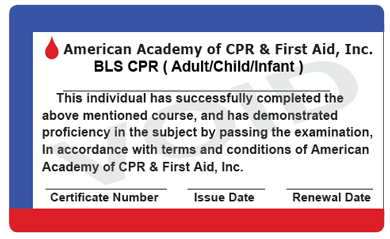 Take American Academy's free course and learn valuable life- saving skills! The memory of saving a life lasts for a lifetime. There is no other feeling quite like being responsible for someone's life. The reward of this course will be the knowledge of how to perform cardiopulmonary resuscitation correctly. A valid certificate will show successful completion of the CPR test and the capability of handling a cardiac incident properly. It is difficult to combine your personal life, family life, and professional life and keep it balanced. No wonder it is almost impossible to find suitable classes that fit both your schedule and lifestyle. This is an opportunity to learn one of life's most valuable skills. One day, someone you love or respect may need help to stay alive until an ambulance arrives. These CPR classes will ensure the preparation needed to give life-saving assistance until professional medical help arrives. Anyone can benefit from taking a free CPR course. For many professionals in the healthcare field, cardiopulmonary resuscitation classes are a requirement for their career. For example, most nursing-home staff, in-home caregivers, hospital staff, and rehabilitation facility staff are required to have current certification. 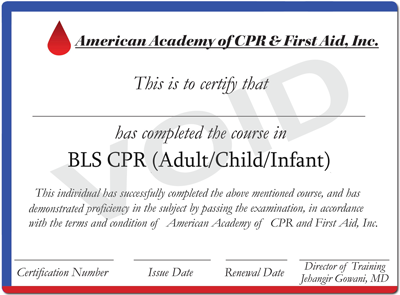 Police officers, firefighters, and emergency responders like paramedics and lifeguards also need to be certified. 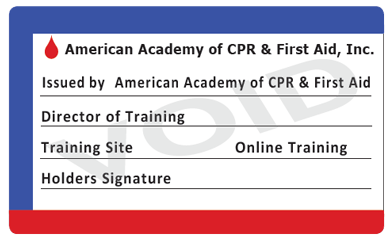 Taking an online CPR course once every two years and renewing certification is not only a job requirement in these professions but also a smart way to ensure preparation for whatever occurs on the job. Do you still "Have what it takes" to save a life? Many people have learned how to perform cardiopulmonary resuscitation at some point in their lives. Perhaps it was a class in school, through a club or organization, or through work. But how many years ago was that class? Are the CPR steps they taught still in use today? Visit the Mayo Clinic's CPR and first aid webpage to see current, accepted CPR guidelines. To brush up on skills or learn more recent techniques, sign up now to avoid standing on the sidelines during an emergency. A local CPR class taught by a company employee or a volunteer organization is fine if the instructors are fully qualified. 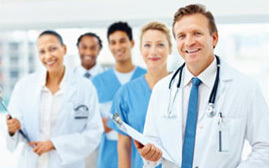 Every one of American Academy's online courses is created and reviewed by medical professionals. Each one is clearly designed to meet the nationally accepted guidelines of various health organizations. Do not take a chance when learning cardiopulmonary resuscitation - choose this free course and learn the most recent CPR steps. While all classes are free, certification is available for a low fee of $14.99. Local classes sound great. But attendance is mandatory at all class sessions, including the test. With American Academy coursework, the online course material can be studied at any time. These courses contain exceptional diagrams, charts, and CPR videos. The student can also use a CPR review for study. The test is available when convenient, and the certificate is available immediately after the test! Be the person who helped save a life by taking a CPR class today. A team of U.S. medical doctors and healthcare providers create all the courses. A U.S. licensed and practicing medical doctor signs all the certificates. People throughout the country from a variety of professions have chosen to use American Academy for their cardiopulmonary resuscitation training and certification. Countless people have benefited from the courses offered on this site, from medical professionals that save lives every day to educators who must have certification.